Our Stainless Steel CB Antenna Tailgate Hinge Mount is designed to work with our MORryde Jeep Wrangler JK Heavy Duty Tailgate Hinges (sold separately). 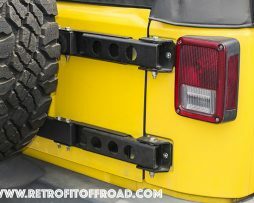 This Complete MORryde Jeep Wrangler Tailgate kit includes: Pair of JK HD Tailgate Hinges, 1 HD JK Spare Carrier, and 1 HD JK Tailgate Reinforcement. 100% Made in the USA! MORryde – Above. Beyond. Always. Works with either traditional Jerry cans or NATO-style cans. 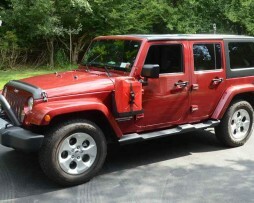 100% Made in the USA – MORryde Jeep – Above. Beyond. Always. 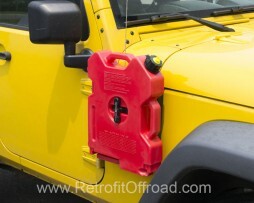 Also check out our Jeep JK Passenger Side Mount Jerry Can! 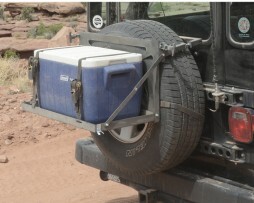 Also check out our JK Driver Side Jerry Can Mount! 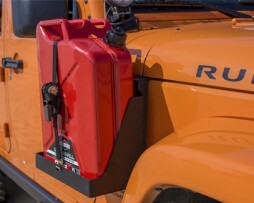 Looking for a place to carry extra fuel for those expedition trips or hitting the trails? 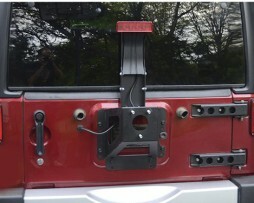 Check out our Rotopax Tailgate Hinge Mount built for Jeep Wrangler JK. 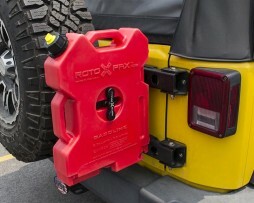 The Rotopax Tailgate Hinge Carrier is designed to work with our JK Heavy Duty Tailgate Replacement Hinges. 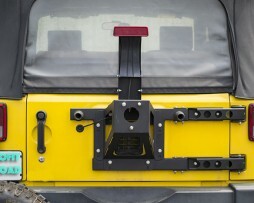 The great thing about our Rotopax Carrier Mount is that it requires no holes or drilling on your Jeep JK or JKU. *The MORryde Rotopax Carrier Mount is designed to work with up to a 37″ spare tire. Note: Anything larger than a 33″ spare may contact that taillight when the tailgate is fully open. Check back with us soon for tailgate hinge stops – available soon for the larger than 33″ spare tires. 100% Made in the USA – MORryde – Above. Beyond. Always. Over time, all factory JK tailgate hinges will loosen and sag, resulting in a rattling tailgate and making the tailgate harder to close. 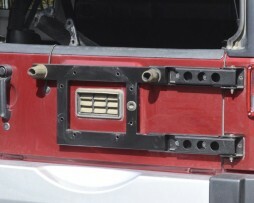 The photo above shows a factory JK tailgate hinge after only a few years use – notice the rust around the hinge pin – this hinge is already loose and rattles. 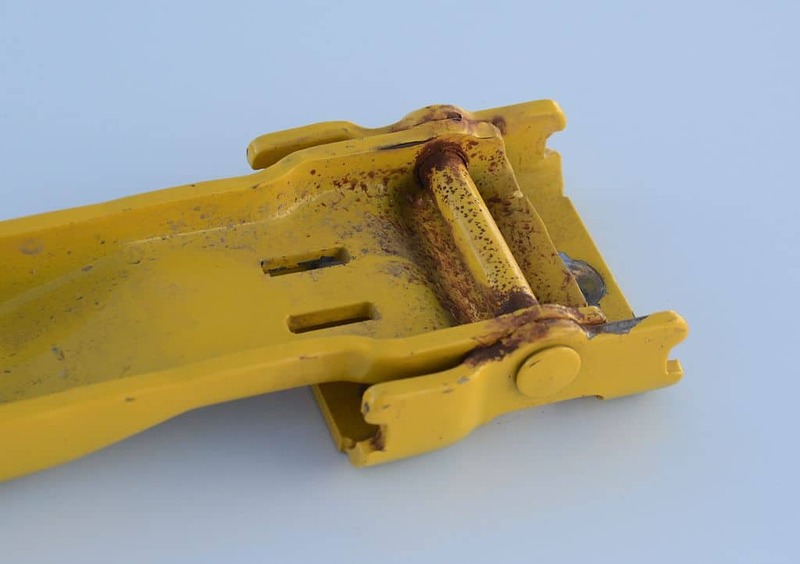 The reason is the factory hinge pin is steel, and turns in a very thin bearing surface, which is also steel. 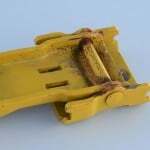 They will all rust and wear at the hinge pin. Our MORryde Jeep JK tailgate hinges have longer bronze bushings, a stainless steel hinge pin and a grease fitting, so they’ll never rust, sag or rattle. 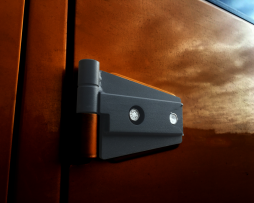 Our heavy-duty door hinges may be small, but they help improve the overall look by giving you a more rugged, custom style that sets your Jeep apart. 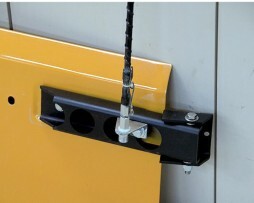 Our door hinges tout a durable powder-coat finish and match the look and feel of your heavy-duty tailgate hinges. 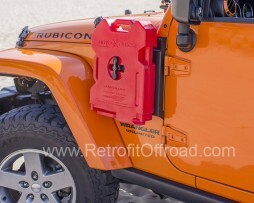 Available for 2 door (JP54-036) and 4 door JKs (JP54-037), these hinges help transform your Jeep in a matter of minutes.